Don't wonder if on 20th and 21th of October many scooters fly past you at the Corniche, in Karnak, or in the Valley of the Kings. 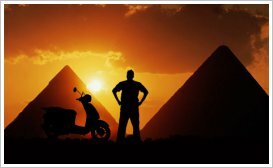 On 14th of October, a 9-day 1700 km scooter ride throughout Egypt will start. Beginning in Alexandria the tour will head down to Cairo, Suez. Taba, Nuweiba', Dahab, Sharm el-Sheikh and Hurghada and then continue to Luxor, Aswan and Abu Simbel. The Cross Egypt Challenge is a non-profit initiative aiming to promote tourism. You have the opportunity to participate for a small fee from Alexandria to Cairo and Cairo to Suez. Registration will be closed on October 1st, 2011. It's here. Annually on 27th of September the World Tourism Day organized by the United Nations World Tourism Organization (UNWTO) takes place. The purpose of this day is to raise awareness on the role of tourism within the international community and to show how it affects social, cultural, political and economic values worldwide. 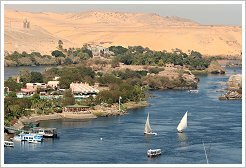 This year Aswan, one of the most popular holiday destinations located in the south of Egypt, will play host to World Tourism Day 2011 held under the theme: Tourism – Linking Cultures. 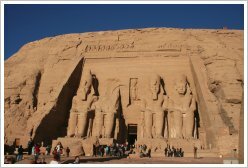 How responsible tourism is able to link different cultures with respect, tolerance and mutual understanding will be shown up in impressive sights and attractions, such as Abu Simbel, the Aswan Dam, Lake Nasser, nearby Luxor, and Nile Cruises. The death of the 28-year-old internet activist and blogger Khaled Said who was openly beaten to death by police officers in Alexandria on 6 June 2010 was the last straw that breaks the camel's back in Egypt. Said's death led to massive protests. He became a symbolic figure for the Egyptian revolution. Today, at 8:30 p.m., the Friedrich-Ebert-Stiftung in Berlin will award the Human Rights Award 2011 to the late Khaled Said. His sister Zahraa Kassem will accept it for him. During the award ceremony she and German graffiti artist Andreas von Chrzanowski, aka Case will paint together a portrait of Khaled Said on two pieces of the former Berlin Wall. Afterwards they will be installed at the Freedom Park in Berlin. In October, the portrait will be repainted in Alexandria, Said’s hometown, as part of a streetart project with the German culture center Goethe Institute. Up to now the Nile crocodile went under the name of Crocodylus niloticus. but now a second species is found: Crocodylus suchus. The discovery started when an American zoologist met six remarkably docile crocodiles in Chad. He took tissue from a dead one and sent the sample to New York for DNA sequencing. To the researchers' surprise, the results showed that the large Nile crocodile (Crocodylus niloticus) of eastern Africa is in fact more closely related to four species of Caribbean crocodile than to its smaller West African cousin, which the researchers have named Crocodylus suchus. For their tests they sequenced the genes of 123 living Nile crocodiles and 57 museum specimens, including several 2,000-year-old crocodile mummies. All of the mummies were of Crocodylus suchus, indicating that the ancient Egyptians had recognized the differences between the two reptiles and had used just this less aggresive and smaller species for ceremonies. The announcement of new visa rules for issuing entry visas to tourists, which should start within one week, caused a great excitement. 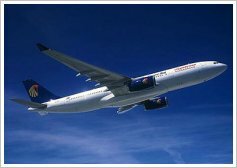 Until now it was possible for individual tourists from Europe, United States, Australia, and other countries to obtain visas on arrival at the airport. 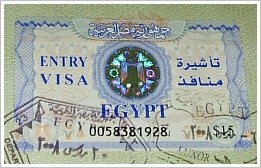 Due to security concerns the Egyptian government planned to cancel this option. Visitors should be required to obtain visas in their home countries before travelling. Today, the government reversed this decision due to massive protests from the tourism industry. Until further notice you may enter Egypt as usual. 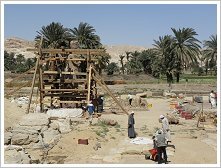 After a nine month pause 75 foreign archaeological missions (from a total of 300) resumed their work all over Egypt yesterday. Among them are German, American, Japanese, Spanish (in Luxor), French and Polish teams. 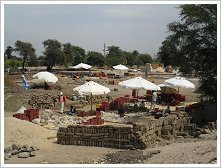 Beside that two dozen new foreign missions from America, Italy and Germany have sent their requests to excavate archeological sites in the Delta region as well as eastern and western deserts. Egypt is currently studying the requests.